How long will the Earth Care Odor Remover Bag last? It does depend on the types of odors it is being used on. For example, for a dead rodent odor it will typically last 3 months, so the bag will typically outlast the stink from the carcass. If it is being used for strong cigarette odor it may only last a few days or weeks. How you can I tell if the bag is no longer removing odors? If you hang a bag and the odor is gone for a time period but returns, that indicates that the bag is “full” and you need to add more bags. Or if you smell the bag and it has an odor that also indicates the bag is “full”. What do you mean the bag is “full”? Think of the bag as a sponge. Odor is drawn into the bag and the Earth Care Mineral inside absorbs the odor. The molecular structure of Earth Care consists of billions of microscopic pores, which gives it a large surface area (exceeding the size of a football field). This enables Earth Care to absorb phenomenal amounts of odors. Once “full” it becomes saturated and can no longer absorb odors. Give customers what they are asking for. Train your technicians to listen to what your customers are complaining about. What are the costs to you to offer the add on service? What equipment is needed, what are training costs, etc. Complete a small test market to see how viable the new service is. Ideally offer something that not many of your competitors are offering. Market to your existing customer base initially. Dead Rodent Odor: Most PCP’s offer a solution when a rodent dies and stinks up their customer’s place of business or home. You can hang 1-3 Earth Care Bags to eliminate that odor. Flood Odors: After clean up from a flood often the home or business is left with a horrible smell. You can offer to eliminate that odor with the Earth Care Flood Odor Remover Kit. Wild Life Odors and Feral Cat Infestations: Skunk and other animal odors can make buildings uninhabitable. 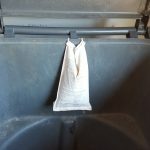 You can use a combination of Earth Care Bags and Granules to eliminate skunk and animal odors. Musty Smells in Old Buildings: Some building just stink, you can cure that problem for your customer. Garbage and Dumpster Rooms: These can be a real problem when the odor infiltrates a place of business especially restaurants. A combination of Earth Care Bags and Granules will eliminate these odors. Most of these solutions offer the opportunity for you to provide an ongoing service which your customer will appreciate and will create addition cash flow to you. To buy our products contact your distributor. Here is a list of our distributors. Add On Service: Odor Control is a perfect add on service for your commercial accounts. Dumpster rooms are frequently located in close proximity to stores or restaurants and the foul odors can filter into the store or business. When you are visiting your customer for pest control, simply add or replace the appropriate odor remover products. This provides a great service for your customer and additional income for you. To learn more and see a video on how to manage odor in dumpster rooms click here. You can also sell the bags to your residential customers. If they have a stinky garage because of stinky trash cans all they have to do is hang a bag in their trash can.